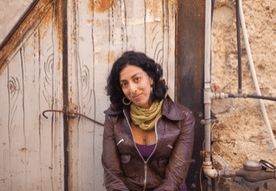 The U.S. Jewish Book Council has announced Ayelet Tsabari as the recipient of the 2015 Sami Rohr Prize for Jewish Literature (Fiction) for her collection The Best Place on Earth: Stories (HarperCollins Canada). Established in 2007, the $100,000 U.S. award alternates annually between emerging fiction and non-fiction authors, and aims to recognize works that “explore the Jewish experience” and show the potential to make an impact on Jewish literature. Fellow Canadian Kenneth Bonert was awarded $25,000 U.S. as the runner-up for his novel The Lion Seeker (Knopf Canada). Tsabari, Bonert, and all finalists will appear at a public program held at New York City’s Museum of Jewish Heritage on May 6. They will be honoured at a private ceremony the following day. All finalists will also be inducted into the Sami Rohr Jewish Library Institute.